TAP Portugal has debuted its new flat-bed business class seat in conjunction with the launch of non-stop flights between Lisbon and Boston. The new product is available on TAP’s updated A330 aircraft, and will also be rolled out onto the carrier’s daily non-stop service from Lisbon to New York JFK on July 1. The upgraded busicess class cabin features a staggered configuration in a 1-2-1 layout, meaning all business class customers enjoy direct aisle access – a significant improvement over the 2-2-2 layout offered previously. Most notably, the seat is now capable of reclining into a fully flat bed, which replaces the angled-flat model. TAP’s new A330 features a two-class configuration with 20 seats in business and 251 in economy. 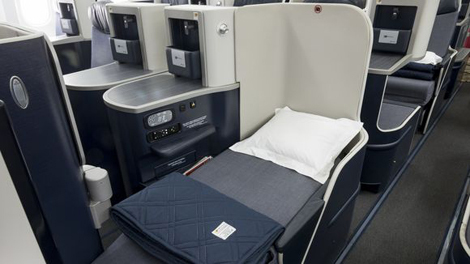 While the new interiors will initially be available on flights to Boston and New York, the airline has confirmed that it will gradually fit the cabins into other long-haul aircraft. The product will also be onboard the 14 new A330-900neos that the Star Alliance member is set to begin taking delivery of in 2017.